Until 1979, Lampson Falls, on the northwest edge of the Adirondack Park, where the Grass River starts its tumble into the St. Lawrence Valley, was in private hands and off limits to the public. 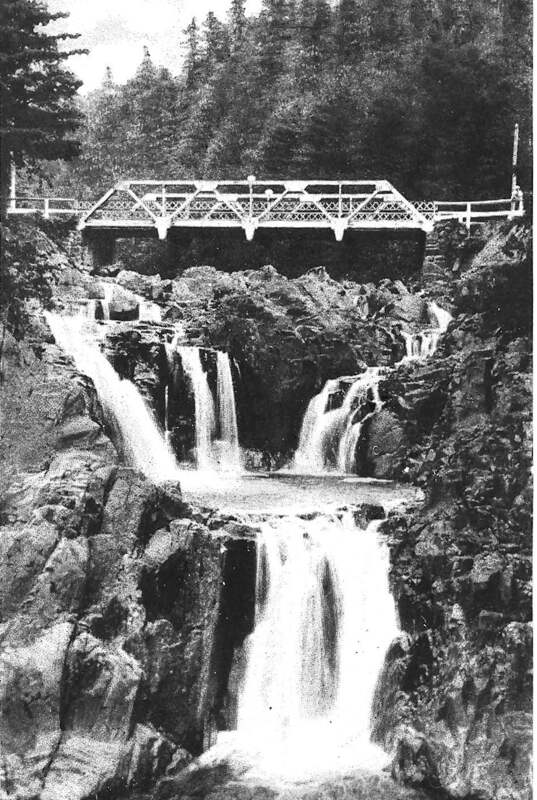 But thanks to the persistence of Paul Jamieson and others, the state bought the falls, and it is now a popular destination. I am among the spot’s devotees. I have visited the falls in all seasons, in many circumstances and have always found them captivating, whatever their mood (and mine). When I’m there, I often ask myself what it is about waterfalls that we find so compelling. For one thing, they represent a break in the routine. They are assertions of a waterway’s personalities: Like us, they seem influenced by circadian rhythms. They can change their demeanor, depending on the season, time of day, angle of sunlight, weather. They demonstrate the undeniable power of nature. They suggest drama, danger and mystery. And they can be spectacles of delicate beauty, prompting one to reach reflexively for one’s camera. Vintage postcard of Split Rock Falls. But let us dwell no longer on what the book is not. 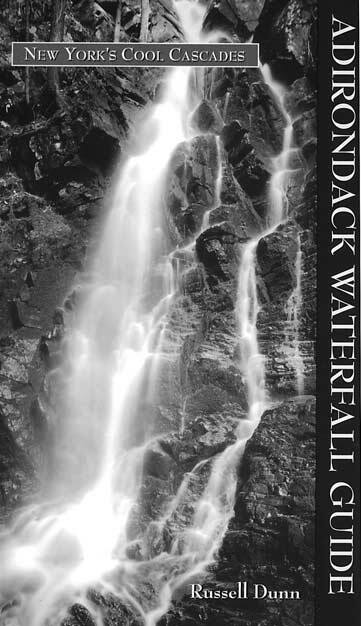 What it is, is a perfectly adequate, readable and easy-to-use guide to a whole lot of waterfalls in the eastern Adirondacks that you’ll want to see if you haven’t. Dunn gives excellent directions to these places. You can drive to within sight of some of the falls; others require a bit of a walk; some call for a substantial paddle and a hike. Dunn makes all of them seem worth the trouble. The book groups the waterfalls by region and/or the highway corridor used to get to them. The description of each falls includes the following subheadings: Location, Accessibility (For Beecher Creek Falls, near Edinburg: “Roadside; wheelchair accessible via a wide, 30-footlong, descending path to covered bridge”), Description and Directions. Some include a section on History, which provides the best chance for narrative writing and the greatest armchair interest. For example, we learn that Beecher Creek Falls was named for an early-1900s sawmill operator, that at one time there were nine mills in the vicinity and that the unique covered bridge was built by a farmer so his cows could reach grazing land that was eventually flooded when the Sacandaga Reservoir was created. Many of the entries are enhanced with topographic maps showing the routes to the falls. Several are also illustrated with old postcards, all from the author’s own collection. If you want a fairly easy one-day introduction to Adirondack waterfalls in their numerous guises, here are two choices, with itineraries that you can craft together using Dunn’s book. Should you not wish to stray too far from your car, head for the Northville- Wells-Speculator portion of Routes 30 and 8. Here, numerous falls are an easy stroll from the road (a tenth of a mile is common); some are visible from the roadside. If, however, you are willing to engage in some moderate hiking, choose the falls along the East Branch of the Ausable River between St. Huberts and Lower Ausable Lake on the lands of the Adirondack Mountain Reserve. Less than 10 miles of walking (round trip), depending on how you plan your day, will take you to varied and spectacular falls with evocative names like Beaver Meadow, Rainbow, Artists and Fairy Ladder.